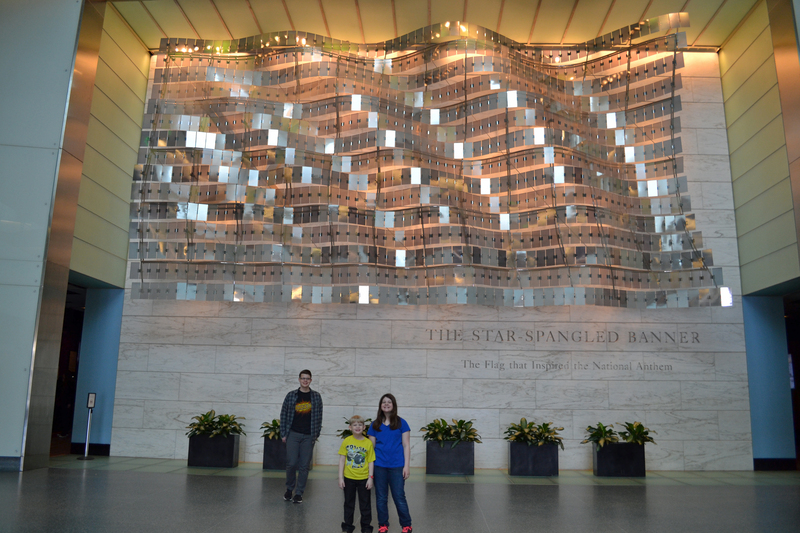 After our tour of the United States Capitol, we headed over to see the Smithsonian Museum of American History. 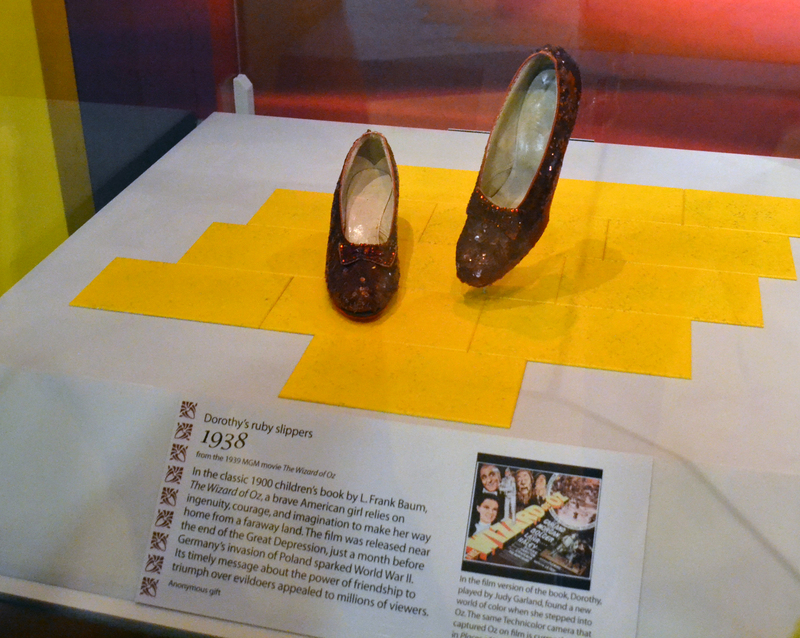 It has an amazing collection of both historical and pop culture items. If you can only see one Smithsonian museum on your visit to D.C., this is the one I would recommend, although they are all unique and wonderful in their own ways. We all split up to see various parts of the museum, so my photos only have a few of the kids in them. 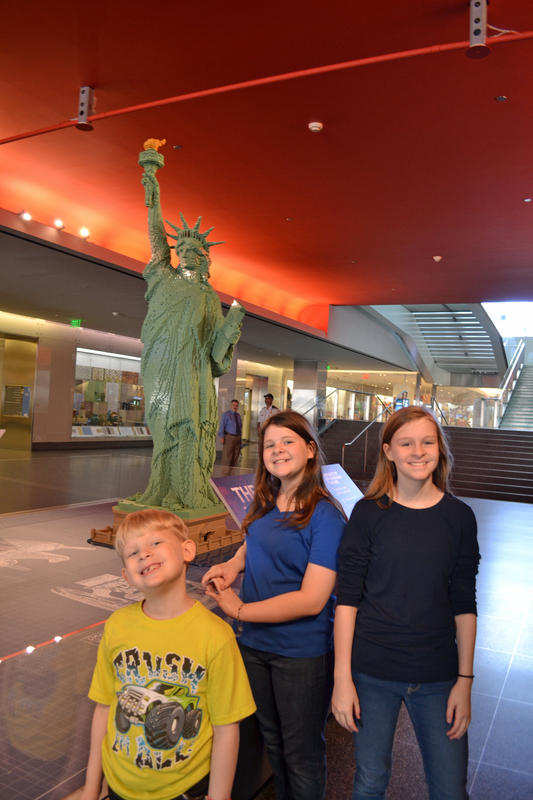 As you enter, you get to see this amazing Statue of Liberty built completely out of Legos! This is as close as your camera can get to the actual Star-Spangled Banner today. The flag that inspired Francis Scott Key is now in a separate room, displayed under very dim lighting to prevent further decay. Photos of artifacts are allowed as long as you do not use a flash, but they do not allow any photos of this iconic flag. Fortunately for me, when I went to D.C. as a senior in high school, I was able to get a picture of the actual flag! It was hanging right out in the open air back then. 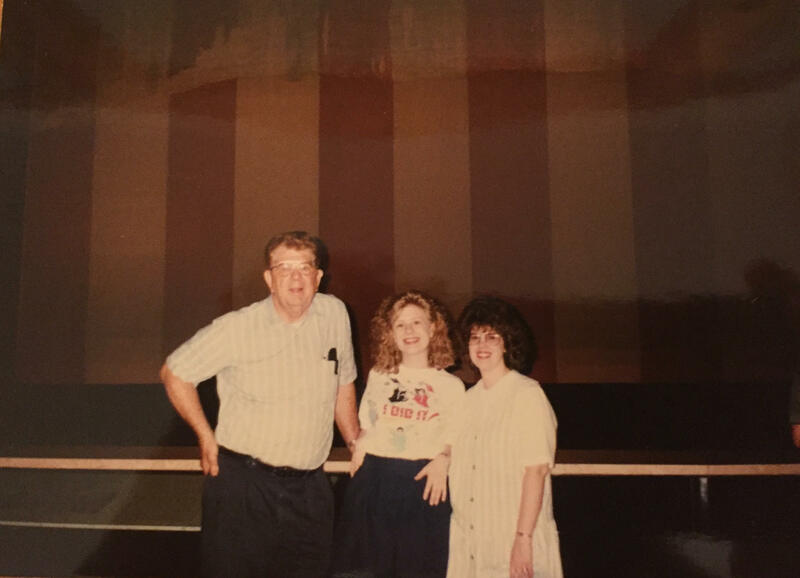 Dad, me, and my sister, Melanie, in front of the Star-Spangled Banner in 1996. It was too large to get the whole thing and show us, too! It’s an awe-inspiring vision. I’m so grateful for these “broad stripes and white stars” and what they represent. It was interesting to read that when this flag was sewn by Mary Pickersgill, it had to be moved from her parlor to a larger building because it was bigger than her house! 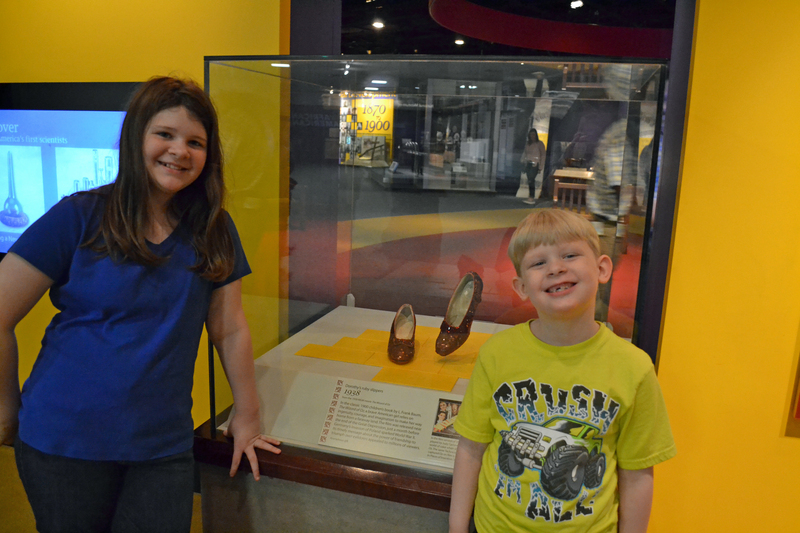 It was fun to see Dorothy’s ruby slippers from the Wizard of Oz! 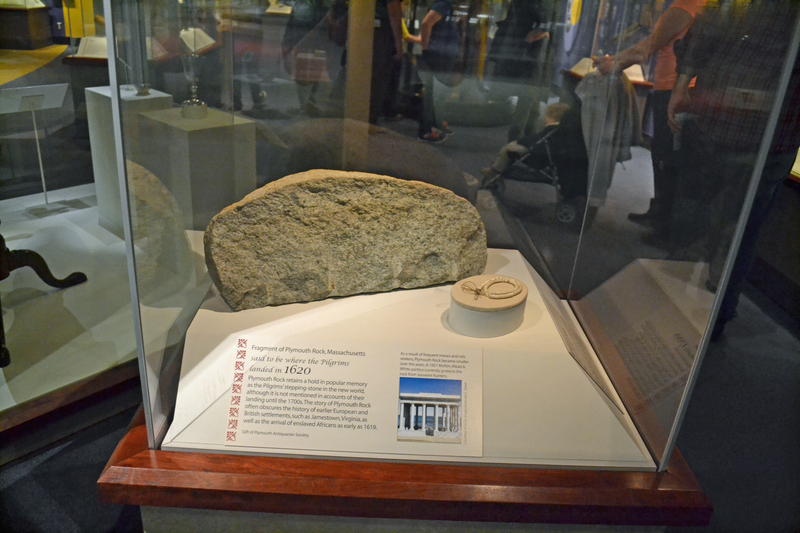 A portion of Plymouth Rock, where the Pilgrims landed in 1620. 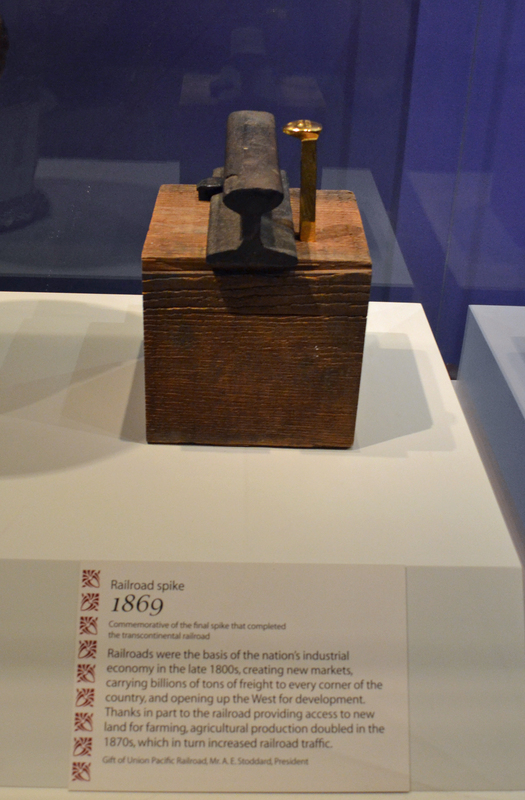 Commemorative spike of the completion of the transcontinental railroad. They hammered several of these in at Promontory Point, UT, for photos, and then removed them. 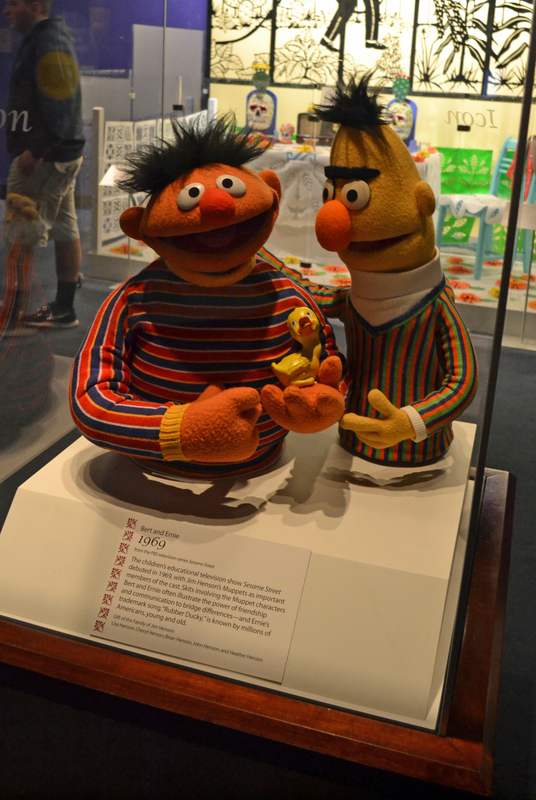 Bert and Ernie from Sesame Street. *Sigh* I feel they are old friends. 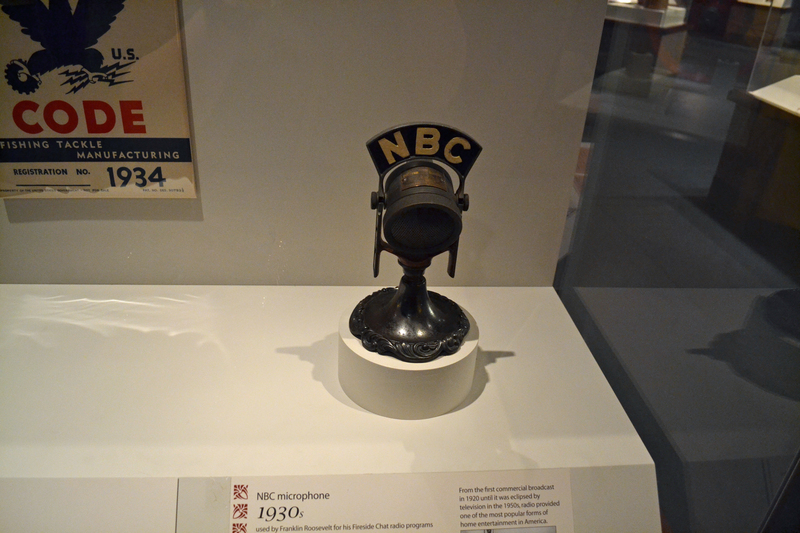 The mic used by FDR for his famous fireside chat radio broadcasts. 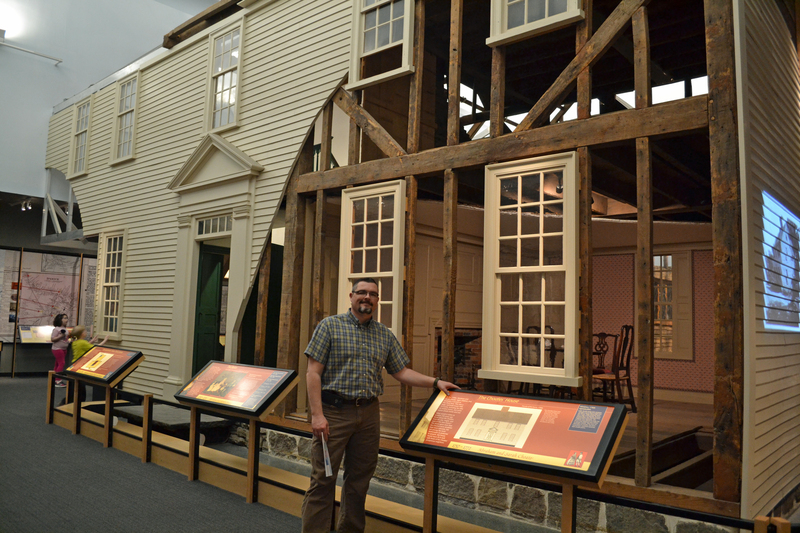 They have a giant house in the museum, showing various features of homes throughout the centuries. There is an entire section featuring the first ladies. It was thrilling to see their dresses and pieces of their China patterns. Here are a few I liked. 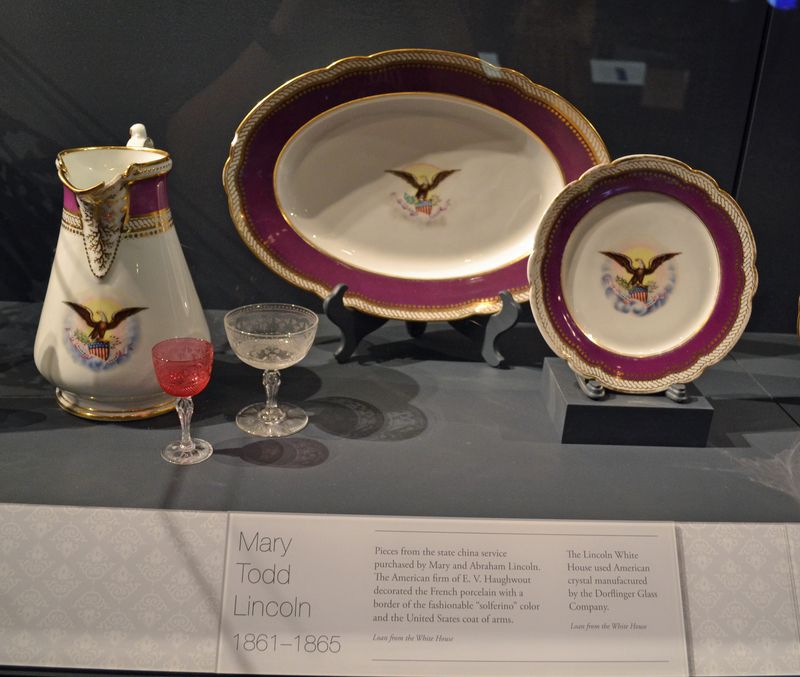 Above is Mary Todd Lincoln’s. I like purple, but I don’t like this pattern. 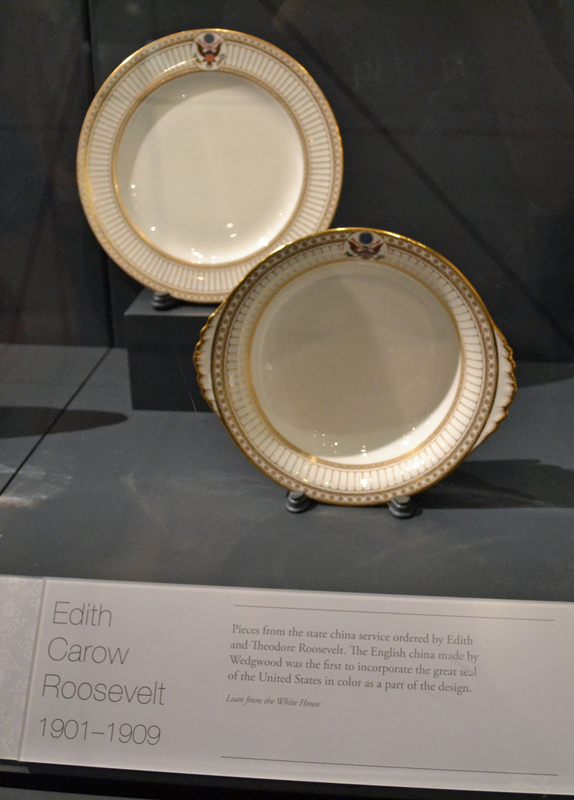 There was also a small display of her China at the White House. 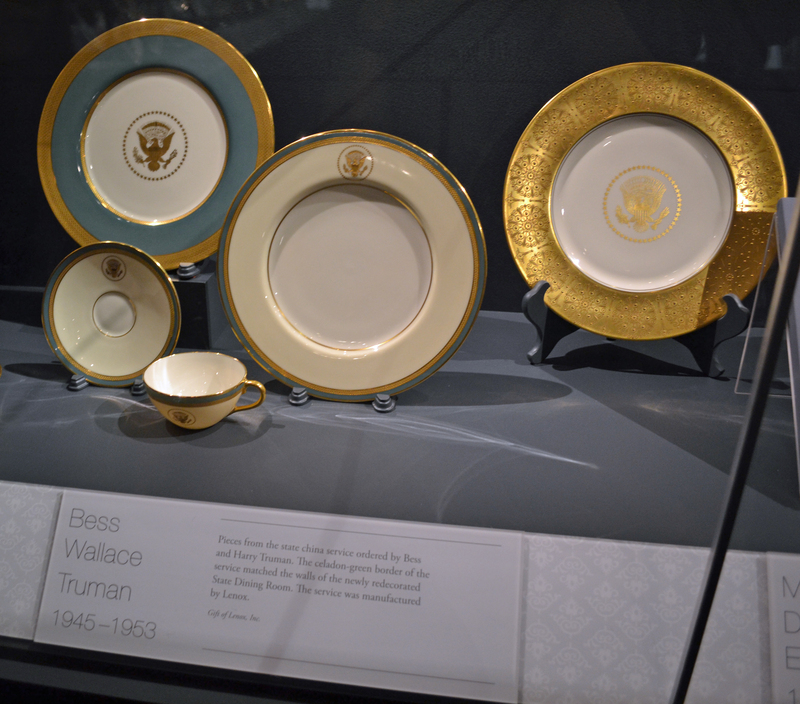 Truman China (Truman is one of my favorite Presidents!). 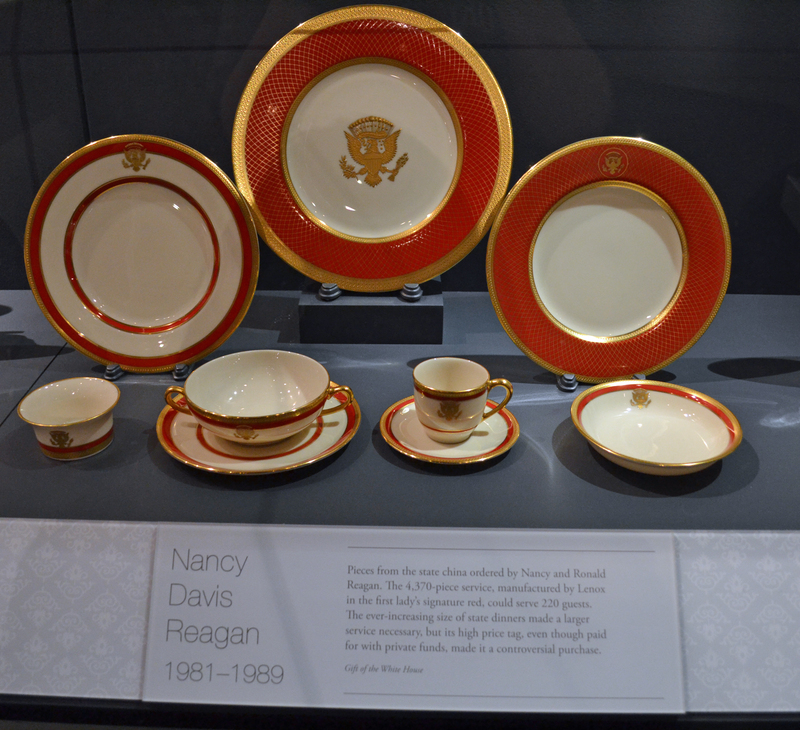 There was a display on Lady Bird Johnson which had a sample of her China pattern. Her pattern has wildflowers, which fit with her passion for beautifying America. I thought she had one of the prettiest patterns of all of the ones on display. 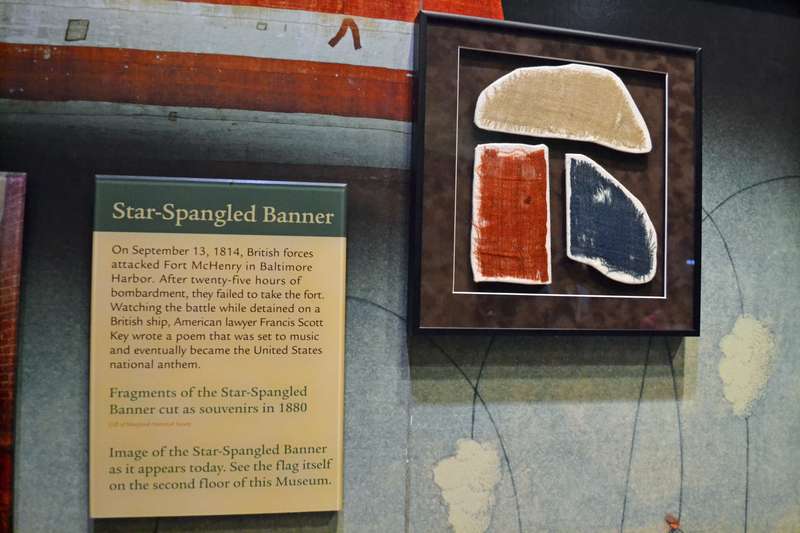 Here are some samples of the original Star-Spangled Banner. 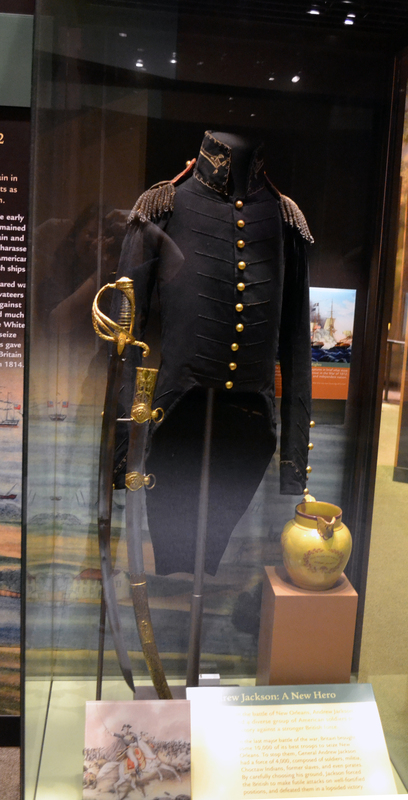 Andrew Jackson’s uniform from the War of 1812. He was the hero of the Battle of New Orleans. George Washington’s uniform from the time of the Revolutionary War. We visited his home, Mt. Vernon, on a previous trip to Virginia. 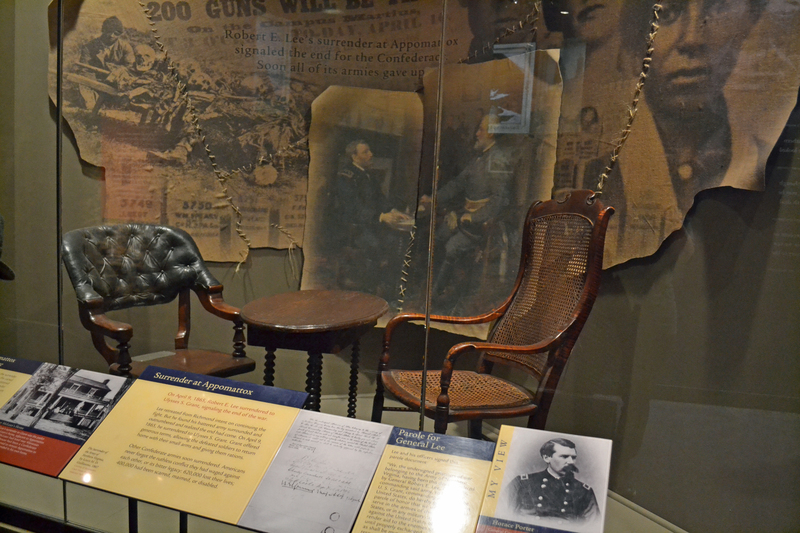 The actual furnishings from the surrender of Lee to Grant at Appomattox Courthouse, Virginia. Grant sat in the leather chair and Lee in the rocker. They had changed the museum a lot since I was there over twenty years ago. Things seemed more spread out and some displays that I remembered were nowhere to be found now. I guess they rotate things in and out. These photos are just a sampling of what you can see there. The Smithsonian museums are free of charge with no reservations required, and they are only closed on December 25. If you have the chance, stop by and take a look. If nothing else, at least drop by and see the incredible Star-Spangled Banner. Pretty interesting. Smithsonian Museum is quite popular and it has been on my ‘bucket list’ for ages. I certainly learned a lot from your DC tour series. Thanks for sharing your stories.